E0:SA:42R – The start of it all! The Jowett Javelin and Jupiter Technical Notes series of documents on this disc contain service information that applies to the Jowett Javelin – Models PA, PB, PC, PD and PE – and to the Jowett Jupiter – Models SA and SC – manufactured by Jowett Cars Limited, Idle, Bradford, Yorkshire, England. These Technical Notes should be read in conjunction with publications produced by Jowett Cars Limited (JCL). These notes can not, in any way, be considered to be a comprehensive Service Manual. 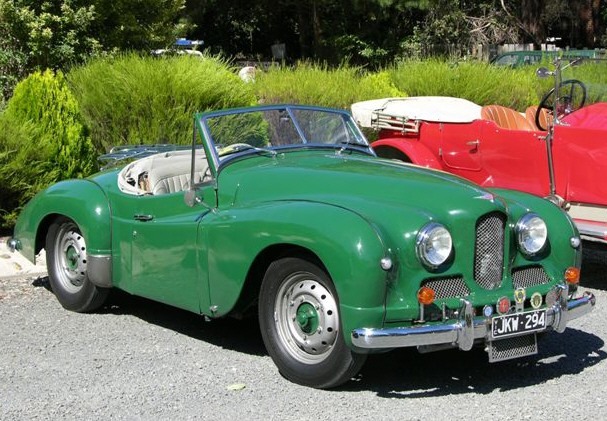 They have been built up, from over fifty years of experience, by a number of club members who have the ability to successfully maintain their beloved Jowett motor cars. These club members are a truly international lot, and it is wonderful that this technical information is so freely shared. There are contributors from England, Australia and New Zealand who have sorted out some concerns with respect to the subject motor cars’ reliability. There is also information sourced via the club network that sources and adapts components from other, more populace motor cars, to keep Jowetts on the world’s highways and byways. Our thanks to all who have so generously contributed to these Technical Notes, which though they can be considered to be comprehensive, they are by no means finished. Let’s keep storing the information! Listed here are the Technical Notes that are contained on this disc. The titles have been placed on this disc as one folder with each part being a separate document. This should make copying and printing easier tasks. The contents of this disc would not have been possible without the valuable input of several Jowett Car Club members. Our heartfelt thanks go to Dr Harry Brierley, Keith Clements, Jowett Car Club (UK), Neil Moore, Jowett Car Club of New Zealand, the late John Taylor, Bill Worley, Neil Munro, Bill Fock, Maurie Dodd, Brian Holmes, Eddy Wolf, Tony George, Richard Homersham, Tim Kelly all of the, Jowett Car Club of Australia Inc. Just listing those names gives us about five-hundred years of Javelin and Jupiter experience. It also has to be appreciated that a fair proportion of this experience comes from a sound motor trade background. Where possible, these notes have been kept to a similar format. Most of these notes are in two-column format. There are, however, some that are of the across the page format. This has been dictated by scanned diagrams and other illustrations making it impractical to use the two-column format. The documents are all in Microsoft Word 2003, simply because this is what the compiler is most familiar with. In most cases, particularly with those notes written by others, there is up to date comment or addition in italics. Thus virtually anything that is in italics are the compiler’s addition. It will be seen from the titles that these notes refer to Jowett Javelin and Jowett Jupiter motor cars and, therefore, it is convenient to describe Javelin and Jupiter engines as, simply, ‘the Jowett engine’. This does not at all infer that this engine was the only engine that Jowett ever manufactured for their range of vehicles. The term ‘Jowett Cars Limited’ has been abbreviated to ‘JCL’. It has to be understood that this series of notes has been put together over a number of years and, probably, there is still more technical information to come. Let’s hope that it is properly written up and added to these notes. It is fully understood that these notes have been put together by enthusiasm for the Jowett marque through contact with extremely knowledgeable Jowett Car Club members. It is perhaps, in some ways, fortunate that JCL ceased production when they did. This meant that, during the 1950s and 1960s owners had to be very resourceful to keep their Jowetts operating. It is also of great benefit to all of us that this knowledge is passed on to other enthusiasts. We are well blessed and should be deeply thankful for it. Just pause to think about the situation for the 21st century Rover in fifty years time! For this reason, these Notes can be reproduced in club newsletters and such, without the requirement of obtaining specific permission. There is one proviso though – please acknowledge the author and source each time any part of these Technical Notes are reproduced. At all times, where ‘right’ and ‘left’ are mentioned, they mean just that. These terms are used assuming that the point of reference is taken when sitting in the driver’s seat in the motor car and looking forward. The same applies to the terms ‘front’ and ‘rear’. These Notes also assume that correct workshop procedures are carried out in a clean, well-lit, work area. They also assume that safe working practices are employed. In addition, it has been assumed that correct size spanners and socket type hand tools are used. BSF hardware is becoming increasingly difficult to obtain – and more expensive – that requires that care be taken to use the correct size Whitworth spanner for the setscrew, bolt and nut being tackled. The time when Jowett hardware could be freely abused is long past. Mike Allfrey – Melbourne, Australia.